Acetochlor (CAS No. 34256-82-1 ) is a kind of selective herbicide before sprout.Acetochlor is a kind of widely used herbicide. in maize (at 3 kg/ha),peanuts, soya beans, cotton, potatoes and sugar cane. the hard grass, the rice flatsedge, the wild millet, and the para grass and so on. Acetochlor 50%EC peanut Annual weed 525-750g/ha. 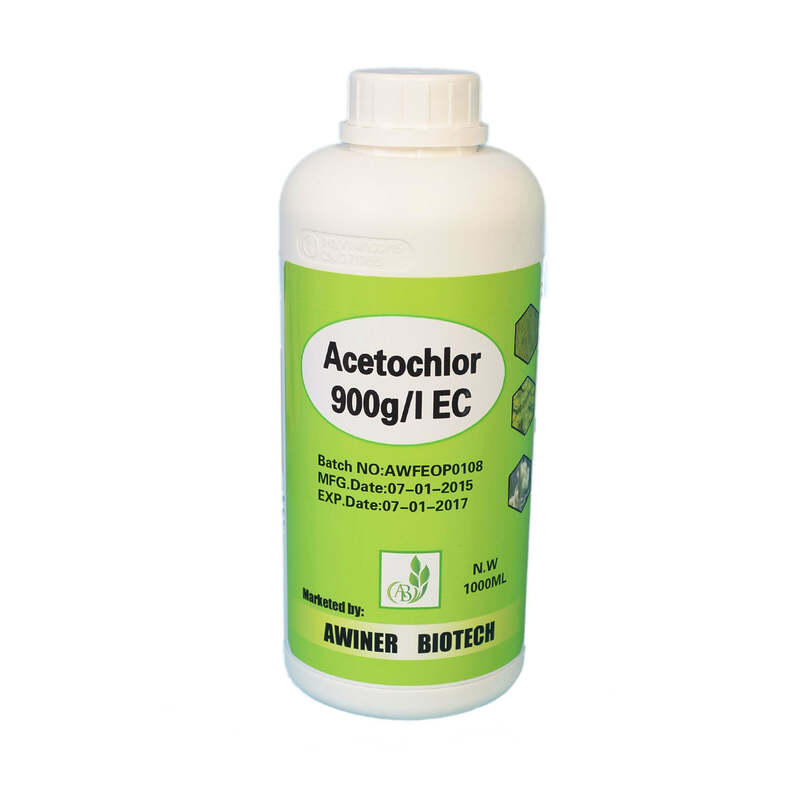 Acetochlor 50% EC corn Annual weeds 750-1050g/ha. Acetochlor 50%EC Corn Annual weeds 1620-1890g/ha.